Jim Dornan was a leader of leaders. Trained as an Aeronautical Engineer, and a graduate of Purdue University, Mr. Dornan made the transition long ago to the world of business and functioned as an entrepreneur for over 30 years. He is the author of best selling books including "Becoming a Person of Influence" (with John C. Maxwell) and founder of Network TwentyOne International. Jim spoke regularly to audiences of tens of thousands from Europe to Africa, India to Southeast Asia, and Australia to the Americas. As coach, strategist, and mentor for some of the highest achievers in the world, Jim compiled a wealth of experiences and a unique perspective that lives on through his books and audios. Father of three wonderful children, and with his wife Nancy as a life partner, Jim Dornan brought both business and personal views to his teaching. With wisdom and character, Jim masterfully led Network TwentyOne from its inception 1989 until his passing in 2013. But today Jim lives on and his legacy grows through the lessons he taught, the leaders he influenced and the lives he has touched. Renee Merris joined the Network TwentyOne team in 1984 as General Manager. Since then, she has held a key leadership position in each phase of Network TwentyOne’s development, from its inception and launch in the U.S. and Australia as General Manager, through the present day in her current role as Vice President. Ms. Merris' previous experience in finance, operations and corporate start-up was integral in establishing the foundation for Network TwentyOne’s success. In 1994, Ms. Merris began to focus primarily on the establishment, development, and management of Network TwentyOne’s international divisions. As Vice President, Renee Merris has been responsible for corporate start-ups in more than 16 countries throughout Asia, South America and Europe. She has established legal entities, recruited and trained key management personnel, developed core policies, and created (and launched) products and services in culturally diverse environments. Currently, Ms. Merris leads management teams servicing more than two hundred thousand clients in Korea, the Philippines, Hong Kong, China, Thailand and India. 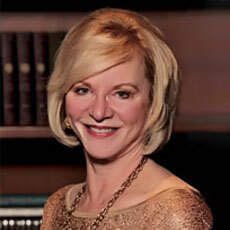 Renee Merris serves as an officer and director on the boards of multiple international corporations. She is also involved in operations and raising fund for a charitable organization with projects in the U.S. and abroad. 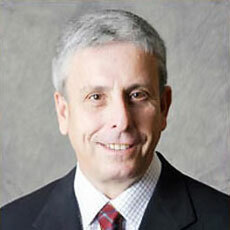 Jeff Neuber has been serving as the Chief Executive Officer for Network TwentyOne since 1993. In that time his management and direction have set the pace for Network TwentyOne and its affiliates to experience a ten-fold increase in revenue growth and profitability. Through his leadership, Mr. Neuber has shaped Network TwentyOne into a company that provides exceptional leadership development materials, high quality motivational and training seminars, and provides a work environment that is truly unique. 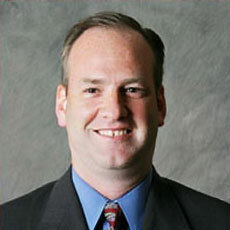 Prior to his employment with Network TwentyOne, Jeff Neuber was employed for six years in the aerospace industry. He received his Masters of Business from the University of San Diego. Jeff Neuber currently serves as director for numerous international companies and is involved with several charitable organizations as an active member of their boards. As CFO, John M. Scott is responsible for all aspects of accounting, tax, and financial operations in 22 countries worldwide. Mr. Scott works closely with each international general manager and accountant to ensure proper and accurate financial reporting as well as compliance with international tax regulations. 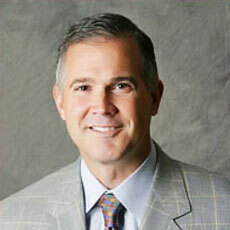 John Scott joined Network TwentyOne International, Inc. in January of 1995 as the European region’s Director of Finance. From Network TwentyOne’s offices in Vienna, Austria, Mr. Scott oversaw all aspects of accounting, tax and finance for entities in Hungary, Poland, Slovak, Czech, Turkey, Greece and Slovenia. He was also instrumental in the planning, setup, and design of financial systems and reporting for that region. In the summer of 1997, Mr. Scott returned to the United States and in January of 1998 took on the role of Chief Financial Officer for Network TwentyOne Worldwide. Adam T. Livingston has been with Network TwentyOne management team since 1993 and since that time, he has worked his way up through the organization, holding various positions from Product Development Manager to Operations Manager to Regional Director of Network TwentyOne Europe. Since 2001, Adam Livingston has served as Chief Operating Officer for Network TwentyOne overseeing global operations in over 36 countries. He has been instrumental in the implementation of policies, practices and initiatives that have lead to significant operational savings as well as new and profitable sales channels through the development of digital media distribution. Mr. Livingston maintains a strong focus on Network TwentyOne's corporate mission with an emphasis on hard work and innovative thinking. In addition to his responsibilities for Network TwentyOne, Adam Livingston has also served for the last 8 years as the Chief Operating Officer for a subsidiary of Network TwentyOne, Redcipher Consulting Services (RCS). Under his direction, Redcipher has designed, built and implemented numerous industry specific B2B sites that currently serve over 100,000 clients and customers around the world. RCS has also developed numerous applications and business processes specific to secure digital media delivery for both desktop and mobile applications. 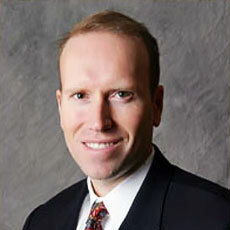 Jeff Fulbright is Network TwentyOne's corporate counsel. Mr. Fulbright received his BBA in Finance with honors from the University of Texas in 1988 and went on to receive a Juris Doctorate from Baylor School of Law in 1991. 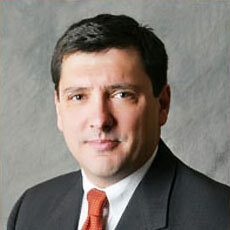 Before joining Network TwentyOne in 1997, he worked as a litigation attorney for one of the nation's largest law firms. He is admitted to the State Bars of Georgia, Texas (inactive), and Colorado (inactive), and is admitted to appear before the federal courts in the North District of Georgia and Texas.